It’s the guy in the loud shirt our own Glenn Marshall who was competing for the Mighty Oaks Toastmaster Club. Glenn’s speech about his adventures driving a car on a Florida beach wowed the crowd and now he’s off to the District conference in November. 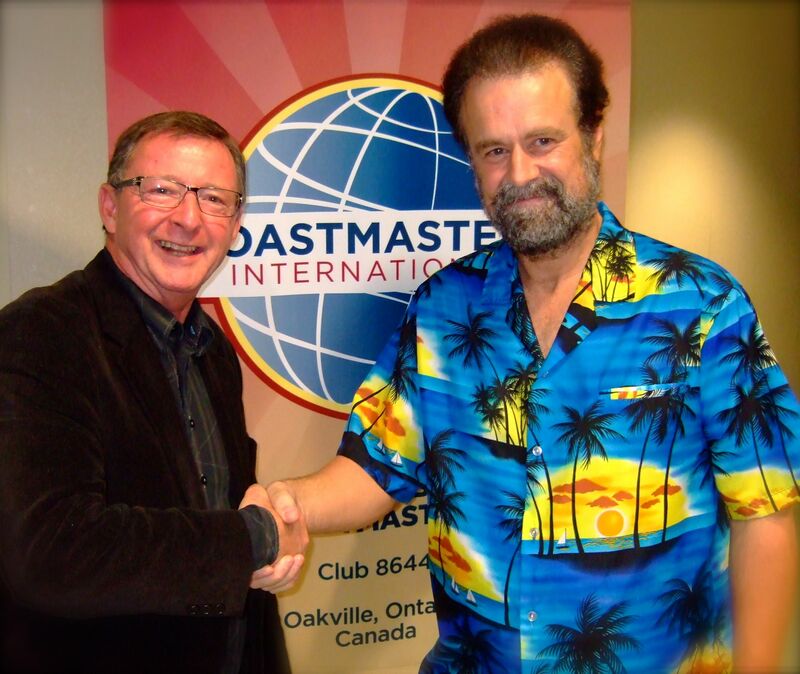 First Oakville Toastmasters held its annual Hallowe’en meeting last night at the Quality Inn. 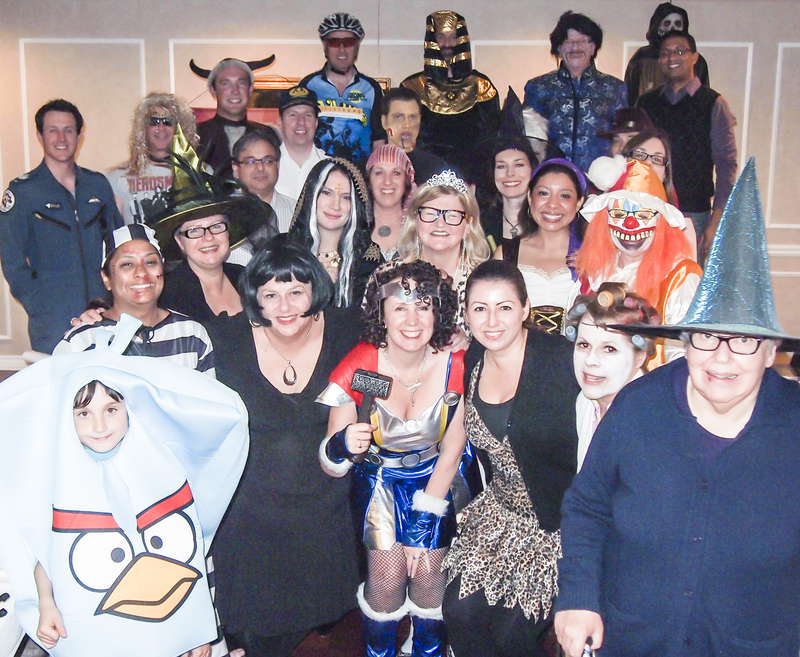 Everybody got into the theme “Toastmaster Terrors” and there was a big turnout of members in costume. A full gallery of images is available at Peter West Photo. Toastmaster Dale Fisher won best costume and a bottle of Black Cat wine. I have just returned from the Area 52 Table Topics and Humorous Contests hosted by Glen Abbey Toastmasters at Sheridan College. It was a fabulous night and our First Oakville Toastmasters performed brilliantly! 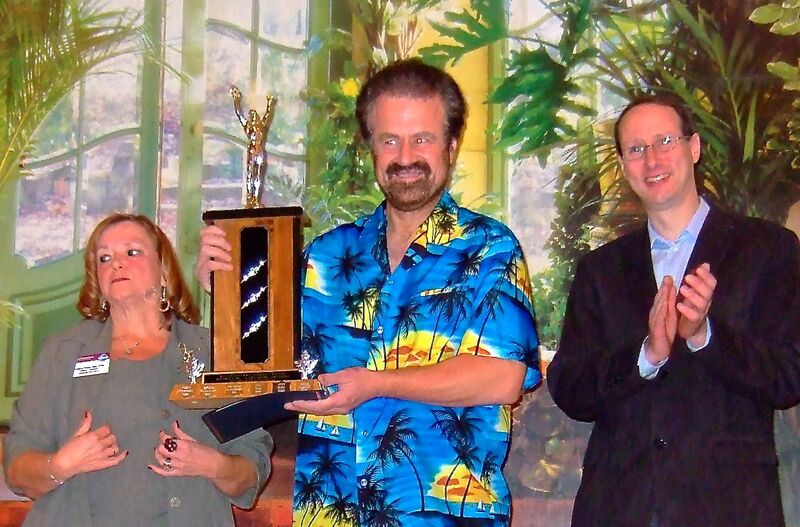 Peter West earned First Place for the Table Topics Contest and the word was “emulate” chosen by Chairman Daniel Bruch. Our FOV member Glen Marshall took First Place for the Humorous Contest while representing the Mighty Oaks Toastmaster Club. Teri Jaklin delivered her very clever and witty speech about her neighbour, Bob, as her entry in the Humorous Contest. This was Teri’s first time competing outside our own Club and she delivered her speech with animation and verve. Congratulations to all! Please come out and support Peter and Glen in their quest for the Division Title on Friday, October 26, 2012 a the ACCA Community Center and Banquet Hall at 754 Barton Street East, Hamilton (Between Barnesdale & Lottridge). Parking at the South West corner of Barton and St. Olga’s. Contest starts at 7:00 p.m. Recovery fee: $5. This has been a particularly difficult week as far as emails flying back and forth about upcoming meetings is concerned. Several members have already complained so what can we do to limit emails? First, unless absolutely necessary, there should be no emails addressed to all members with the exceptions of emails from the executive (notices of special meetings, new agendas and member lists), the chair of the upcoming meeting and the weekly notice of videos ready in DropBox (which could be dropped). The Toastmaster and general evaluator for the upcoming meeting should limit their emails to affected members only and cc the chair. Anyone replying to an email should reply only to the author and not reply to all which is happening too often. Finally, no emails to all should be addressed to the entire club membership when a member finds they are unable to fulfill their upcoming role. Take the time to look at the upcoming agenda and pick people who don’t have a job and ask them to either swap jobs with you or take over the one you can’t do on a specific night. If you do send an email to another member keep it short and to the point. Nobody likes to read emails that are longer than one short paragraph or so. Serial offenders may find that their emails are being flagged to be automatically trashed or sent directly to the spam pile.